4 frame sizes covering a shaft diameter range of 300-600mm. 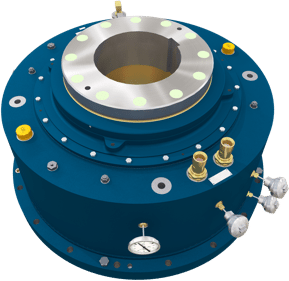 Normal, large and extra large shaft variants for each frame size allowing the optimum sized bearing to be selected for the application. Design includes offset pivoted tilting thrust pads in order to reduce oil film temperatures and maximise film thicknesses.